This post is sponsored by Red Stamp. I was compensated for my participation in this post, and these opinions are all mine. If Thanksgiving is for family, and Christmas is for children, then we adults get New Year's Eve, right? NYE has been one of my favorite holidays since I was old enough to keep my eyes open until midnight and watch the ball drop. The celebration of a year accomplished teamed up with the hope of all that is to come - pop open the champagne! 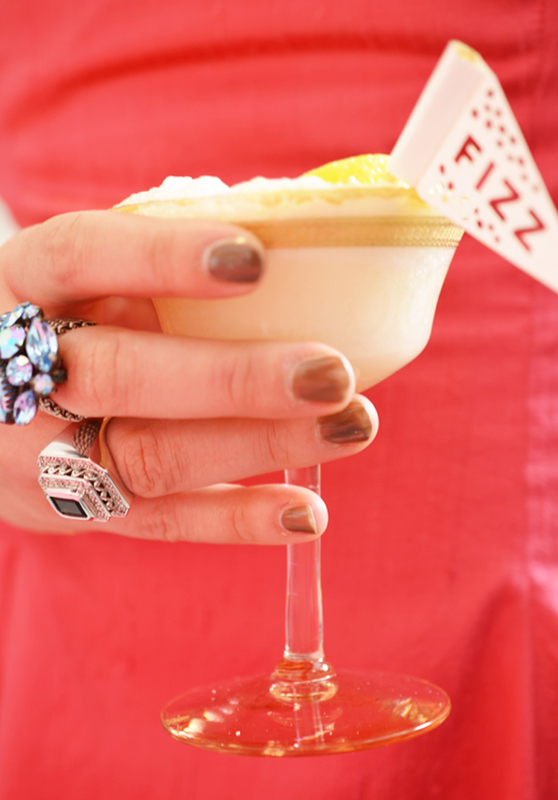 Even better yet, pour on the Lemon Sorbet Champagne Float. 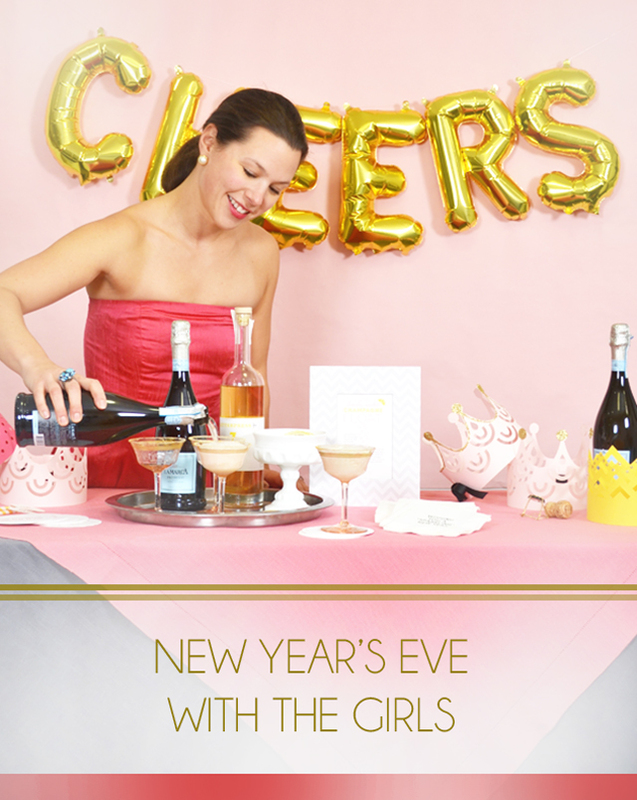 My weeknight party girls, headed up by the best hostess, Alexandra Hedin, are linking up with Red Stamp (did you know they have a brilliant new line of party goods?) to throw a party with crowns, flags, balloons, and a great cocktail. Meet the party team: Ali of Alexandra Hedin, Amy of This Heart of Mine, Melissa of Lulu the Baker, and Jen of Classic Play, along with me! The laughs we would have if this crew could get together more than just virtually! We have babies and businesses to toast. And foibles and mishaps to bid bon voyage. I host a New Year's Eve party in our home for a few families. And, though the games and food are aimed at the younger set, I love the idea of making a signature drink to show a little love to the grown ups! 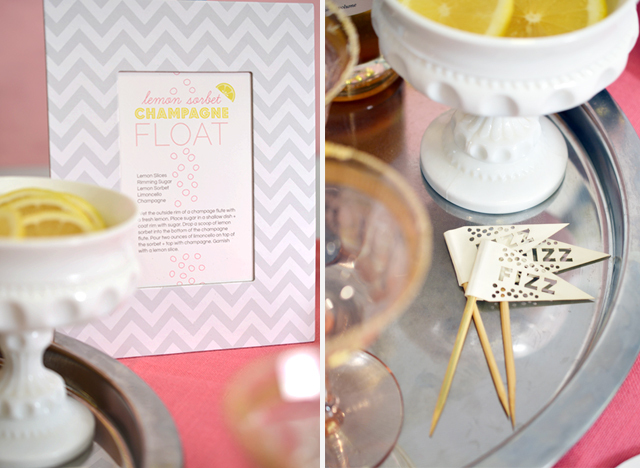 And I think the Fizz flags from Red Stamp are the perfect touch of whimsy. Ali will be sharing this cute recipe card tomorrow, and you can also find them on Red Stamp's blog! And now through December 10, we're offering our readers 20% off at RedStamp.com when you use promo code CHEERSTO2015! That means we don't have to be left in the dust from Black Friday or Cyber Monday deals we thought had past! Get some really cute additions for your New Year's bash - or anything you want to celebrate! Cheers to you, friends. And here's to a spectacular 2015.